Well, I'm unemployed. And I feel bad about it. Only last night, Graham and I were talking about renting a house (currently we're living with his parents, which is very kind of them). We came to the conclusion, that even though he has just started a brand-new full-time job, we cannot afford to rent a house on our own on just his wage. I felt like crying when I first realised this. I felt so guilty. Graham works so hard to support us, and I've been unemployed for four months now. It's not because I can't find a job, either. Although I don't have many qualifications, several years of working in cafes means that I can get most jobs in hospitality. No, the reason I'm not working is because I am quite sick. My bipolar disorder makes working very difficult, especially in the hospitality industry. Who knew that working in a fast, noisy, high-stress, low-paid job would be detrimental to mental health? I left my last job because it was so demanding; I was having panic attacks in the bathroom, and shaking so badly that I was spilling coffees on customers. I was crying before going to work, crying after work, and dreading the next rostered shift. So when my doctor told me to take three months off, I jumped at it. One month after the doctor's ordered time has expired, here I am, still unemployed. Its pretty awful. While it might seem great to have time to oneself everyday - time to rest and relax - I can never quite enjoy it. I feel guilty over not working, so I try to compensate by cleaning and cooking. This tires me, and then I feel sick from worry and work. It's hard to let go, and just realise that I may never work to the capacity of other people ever again. And then there's trying to explain my lack of working to other people. It's difficult, when meeting new people, to realise that I no longer have a job with which to describe myself. What do I say I do? I'm a professional sleeper-inner? I occasionally write blog posts and create digital art? I'm a champion dinner cook? I don't even feel comfortable describing myself as a housewife; it's not my house, after all, and (at least for me) the words "housewife" describe someone who keeps their home spotlessly neat and clean. That doesn't really fit me, somehow. 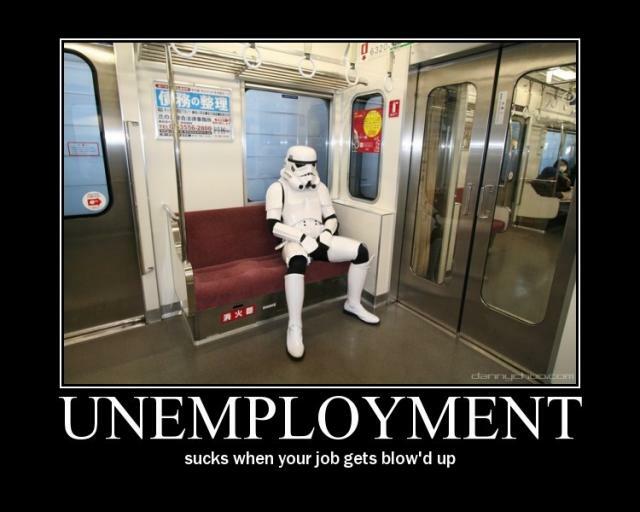 Even if I muster the courage to say I'm unemployed, that leads to all sorts of other questions and implications. "Unemployed" could mean a professional seeking new and better employment, but I'm not looking for a job. It could just as well mean a lazy dole-bludger. It's hard to deny that that is what I am, when I have a sneaky feeling that I should be doing more. So usually I end up telling people about my bipolar disorder. It makes me sound semi-crippled, which I hate, but I'd rather sound disabled than lazy. Either way, I feel less than other people, a person who is always asking for special treatment and consideration from others. Whether I deserve it or not, doesn't matter to me. I used to pride myself on my self-sufficiency. Now I'm dependent on my husband and his family. I guess one day I'll feel better about this whole situation. Maybe I'll get better, or I'll start a family, or maybe I'll just learn to accept my limitations graciously. Until then, my goal is just to reduce my expectations of what I can do, and to be satisfied that, if I do my best, that that is good enough. Wow, you are extremely articulate Felicity. Have you considered continuing to blog your experiences? Maybe you have another blog? Very grateful for your words. May God bless you with the desires of your heart. Thank you for commenting, Michelle! As you can see, you have really spurred me on to write again! I am enjoying it - in fact, I am wondering why I ever stopped!